As promised, here's an analysis of this weeks #1 song according to The Ultimate Chart, and it's "I Need A Doctor " from Dr. Dre featuring Eminem and Skylar Grey. We'll break the song down into four parts - song, arrangement, sound and performance. The Song - It doesn't matter what genre of music, a hit is a hit and they all closely follow a form. "I Need A Doctor" is no exception. This form uses chorus as an intro, followed by a verse, chorus, verse, chorus, bridge, and last verse with a final chorus. This is just about as close to a formula form as you can get. The Arrangement - There are 4 elements always in the mix (see yesterday's post for an explanation of arrangement elements). In the verse, chorus (except the intro) and bridge, the foundation of the track is held down by the drums, and the rhythm is by the right hand of the piano. In the intro and verses, the pad can be attributed to the left hand of the piano playing whole notes. In the chorus, the bass acts more as the pad (which is opposite from most songs where the bass is part of the foundation of the song). The lead element is held down by Eminem and Dre in the verses and Skylar Gray in the chorus. The arrangement development is also classic, with the intro fairly sparse with only piano and vocal and sound effects, and the verse sees the introduction of the drums and an additional synth on top of the piano. The chorus gets very big with the introduction of the bass and the 3 part harmony. The bridge adds an additional pad element with the introduction of a high synth pedal note, then it drops down to a sparse last chorus which Dre raps. The Sound - For the last 10 years or so the sound of most records was very much dry and in your face, but "I Need A Doctor" returns to the bigger sound of 70's and 80's. The drums are John Bonham-like huge (almost too big for the record, especially the kick), and as a result, the other instruments have to be a lot smaller to fit into the mix. The vocals are drenched in delay and a long reverb, which is a welcome return to slicker sound from long ago. The Performance - Eminem just smokes this song. You can feel his passion, his heat, his aggression jump right through the speakers at you. Skylar Grey is one of those vocalists that sings well with herself and the harmonies sound bigger than just stacked parts as a result. Like most hits, "I Need A Doctor" is a twist on a well-used formula that never lets the listener down. Send me your suggestions for other songs to analyze. Many of you who clicked on the videos on my recent posts containing the isolated tracks of Eric Clapton and Paul McCartney on "While My Guitar Gently Weeps", or the isolated vocal tracks of In My Life noticed that the videos were no longer there, thanks to a take-down order from EMI. Many other tracks on other posts by The Beatles, Stones and others have also been restricted. I love these isolated tracks and I know that you do too, but understand that the record label owns the copyright to the recordings, and any posting without their permission violates that copyright. Also understand that I don't actually post any of these tracks. I don't personally have them in my possession, for those of you who've asked me to email them to you. All of the isolated track videos can be found on YouTube, but more and more the labels are forcing the poster to take them down right away, even though you can make a case that there's a fair use issue since they're intended for educational purposes. 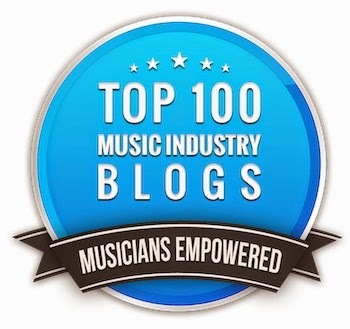 Since the analysis of these tracks seem to be very popular with my readers, I'm going to try something new - every week I'll analyze a song or two that's either in the current top 10, or something that I get a request for. Before we look at the first song, I thought it best to give a bit of an overview of the 5 elements of a great arrangement. The following explanation is an excerpt from my book How To Make Your Band Sound Great , but there's also something similar pertaining more to mixing in The Mixing Engineer's Handbook too. Foundation - The Rhythm Section. The foundation is usually the bass and drums, but can also include a rhythm guitar and/or keys if they’re playing the same rhythmic figure as the rhythm section. Occasionally, as in the case of power trios , the Foundation element will only consist of drums since the bass will usually have to play a different rhythm figure to fill out the sound, so it becomes it’s own element. Pad - A Pad is a long sustaining note or chord. In the days before synthesizers, a Hammond Organ provided the best pad and was joined later by the Fender Rhodes. Synthesizers now provide the majority of pads but real strings or a guitar power chord can also suffice. Lead - A lead vocal, lead instrument or solo. Fills - Fills generally occur in the spaces between Lead lines, or can be a signature line. You can think of a Fill element as an answer to the Lead. Most arrangements have these 5 elements, but very rarely are they all present at the same time. Any more than 5 elements at the same time is confusing to the listener. So keep the above in mind as we start our analysis in the next post, and send me the songs you'd like me to analyze. One thing that puts the music business in perspective is a look at the sales. Although Nielson Soundscan's numbers aren't the be-all, end-all, they do provide a pretty good idea of what's going on in our business. Here are a few fun facts about US music sales for 2010. The percentages are against those of 2009. If you look at the sales numbers, you very well can get the feeling that the industry is heading off a cliff, but there is a bright side. There were over 326 million albums sold (240 million of them CDs), and over a billion digital singles. That's still a huge amount of music that's being consumed. So while the numbers may never be what they were, it's still a huge business that's far from dead. 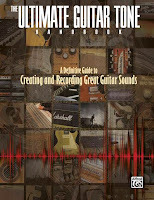 It's time for an excerpt from a new book I wrote with Rich Tozzoli called "The Ultimate Guitar Tone Handbook. " 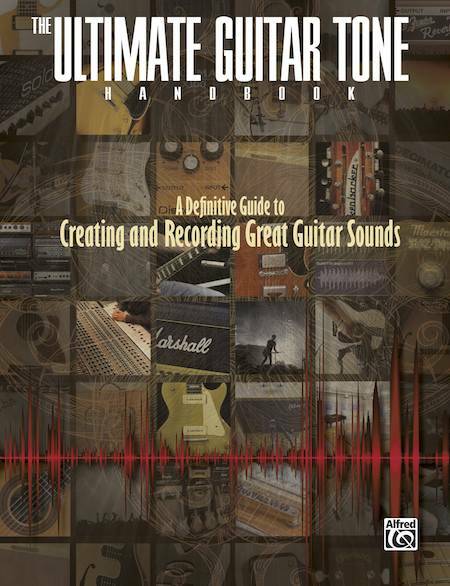 The book tries the resolve the many questions that every guitar player has in his quest for the ultimate tone. We try to give you some background on why instruments, amplifiers and effects sound the way they do, then provide some guitar recording and production techniques so you can capture that great sound that you hear. Here's a brief excerpt from the Electric Guitar Miking Techniques chapter. Not only does it apply to amplifiers, but to acoustic guitars, vocals, and any other instrument. To read more excerpts, go to the book excerpts page on my official website. As we said in Chapter 5, the room can make a big difference in the sound of a guitar amp, especially if it has an open-back. That’s why it’s best to find the place in the room that’s acoustically beneficial to the sound if possible. When you’re tracking with other players (especially a rhythm section), finding the best room placement is secondary to leakage concerns and player sight lines, unless you can place the amp in an iso booth. You try to capture the sound as best as you can, but there’s a good chance that you might have to replace it later. That brings us to overdubs, which is where we concentrate on the sound of the guitar the most. Here are some considerations in finding the best placement in the room. Keep in mind that the following ideas work equally well for amps or acoustic instruments. It’s usually best to stay out of a corner. The corner normally causes “bass loading”, meaning that the low frequencies will be increased causing low notes to boom. When you’re tracking, this can also lead to sympathetic tom ringing and snare buzzing on the drum kit. Test the room by walking around and clapping your hands. That’s a good way to find a place in the room that has a nice even reverb decay. If the clap has a “boing” to it (a funny overtone), then so will the sound of your amp or acoustic instrument, so it’s best to try another place in the room where it will hopefully sound smoother. If you can’t find a place without a boing, place the amp where it sounds the smoothest and try putting some padding or something soft on one side wall to break up any standing waves. Ideally, you don’t want to be too close to a wall. The reflections (or absorption if the wall is soft) can change the sound of the amp or acoustic instrument, especially if you’re using an open-back combo amp. The middle of the room usually works best. Ideally, you want to be at the place in the room where the ceiling height is the highest. If the ceiling is vaulted, try placing your amp or acoustic instrument in the middle of the vault first, then move it as needed. Whatever you do, stay away from glass if you can. Glass will give you the most unwanted reflections of just about any material. If you have no choice because of the way the room or the band is situated, try setting up the amp at a 45° angle to the glass. Try putting a rug under the amp or acoustic instrument. A rug stops any reflections off the floor, which can sometimes have a negative impact on the overall sound. On the other hand, sometimes the reflections from a hard floor can enhance the sound. Try it both ways and choose. Try placing your amp on a chair or road case. Because the amp isn’t coupling directly with the floor, there are fewer phase cancellations on the low end so the sound will be more direct and distinct. Acoustic foam like Auralex works as well. 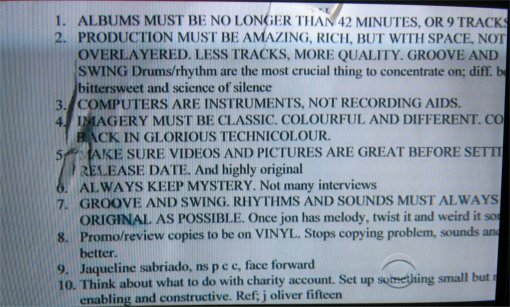 Coldplay was on a segment of 60 Minutes a while back and during the interview, there was a closeup of their "band rules" posted on the wall of their rehearsal studio. While they all may not apply to all bands, some of these rules are definitely universal. If these points are good enough for Coldplay, they're good enough for you too. Here are some of the rules as they appeared in the shot. My comments in italics. 1. Albums be no longer than 42 minutes, 9 tracks. (Yes, please. This should be a commandment, not a rule). 2. Production must be amazing, but with space, not overlayered, less tracks, more quality, groove and swing. Drums/rhythm are the most crucial thing to concentrate on; diff. between bittersweet and science of silence. (This is a reference to The Verve and singer Richard Ashcroft's solo effort). 3. Computers are instruments, not recording aids. (Most people think of these the other way around). 7. Groove and swing. Rhythms and sounds must always be as original as possible. 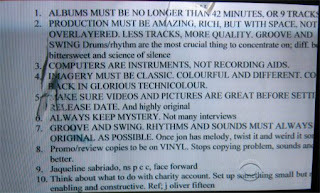 Once jon has melody twist it and weird it sonical.